Whether you are a business owner or if you are simply concerned about the safety of your family and your home, you should consider installing outdoor CCTV security cameras. Taking this extra precaution can help to save you a lot of money and grief in the long run, and you will feel much more safe and secure if you know that you are taking every possible step that you can to protect your property and those who are important to you. What Are Outdoor CCTV Security Cameras? You have probably heard of CCTV security cameras, but you might not be sure of what they are. Simply put, these security cameras are used to capture surveillance footage, whether at your home, business or elsewhere. Installing outdoor CCTV security cameras is a great way to protect your home or business, and they give solid evidence for you to use if a crime has been committed on your property. Why Install Outdoor CCTV Security Cameras At Home? If you have a burglar alarm installed in your home, you probably feel safe and protected. Unfortunately, however, sometimes burglars can bypass even the greatest of burglar alarms, and some simply grab as much as they can before running out the door — even if your burglar alarm is steadily going off. Although it is always a good idea to protect your home with a burglar alarm, your family deserves better protection that what a burglar alarm alone can provide. Installing outdoor CCTV security cameras can add an extra layer of protection in order to give you a bit more peace of mind. By setting up your monitor in your bedroom, home office or elsewhere where you spend a lot of time when you are at home, you can easily monitor what is going on outside your home at all times. This can help to take away the scary feeling that can come along with hearing strange noises outside because you can easily see what is going on without having to put yourself at further risk. These security cameras can also be convenient because you can see who is entering your driveway or approaching your home without having to go to the door. 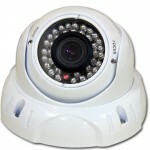 Outdoor security cameras help with home protection in a variety of ways. First of all, the sight of security cameras placed in your trees, on the top of your house and elsewhere on your property can be very intimidating for thieves. These individuals typically look for homes that are a bit easier to break into, so they will more than likely continue on their way if they notice that they are under surveillance when they are on your property. Prevention of crime is always a great first step. In case a burglar does get brave enough to try to fool your cameras or if he does not notice them, you will at least have high-quality surveillance footage of the break-in or other crime if you have outdoor security cameras in place. This can help law enforcement to find the person who broke into your home, and it can work as strong evidence in court once the thief is caught. 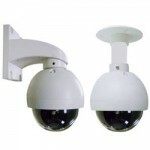 Why Should Businesses Install Outdoor CCTV Security Cameras? Homeowners are not the only ones who should be concerned about monitoring the activities on the exterior of their property. Business owners should also consider protecting themselves, their business, their employees and their customers by installing security cameras outdoors. Business owners should have these cameras in place for many of the same reasons that home owners should, but there are other benefits for businesses to take this extra safety precaution. Businesses that are closed for the evening are often subject to vandalism during the late night hours, and outdoor security cameras can help to cut down on this crime. Parking lots and dark places can also be a central hub for crime, even in the nicest of areas, but having everything on camera is a great place to start when cracking down on these crimes. It is also a good thing to have outdoor security cameras because it helps to make your employees and customers feel safe. Many people are nervous about patronizing businesses late in the evening or in parts of town where they know that crimes are frequently committed, but security cameras instantly put people more at ease. 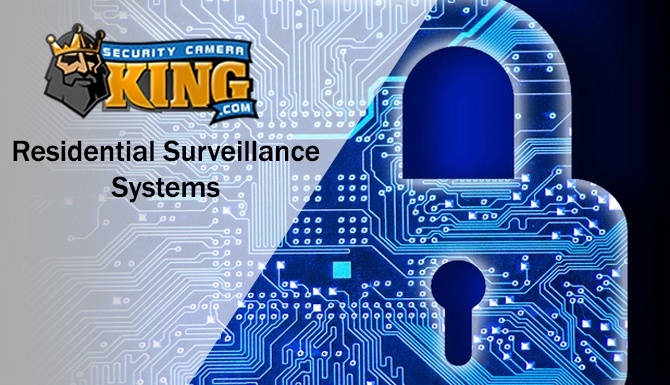 Hanging outdoor security cameras in prominent places in your parking lot and elsewhere on your property can help to bring in extra business, and it can let your loyal customers know that you are committed to their safety. Equally as important as having outdoor security cameras in the first place is where you place them. Improperly placed security cameras can be almost as bad as not having them at all because you will not be able to pick up clear surveillance footage, and you may miss an entire area of your lawn or parking lot. When installing your outdoor security cameras, it is important to take the time to really plan the best placement of them for the best results. It is best to purchase enough surveillance cameras that your entire property is under video surveillance at all times, but some people may not be able to spend that much at one time. However, you will want to have the entire property that is close to your home or business under surveillance. Some thieves are very crafty, and they may be able to look at your security cameras in order to determine what areas of your property are not on camera, so you want to make sure that you do not leave too many of these places open. It is always important to have a camera pointed at all of your exterior doors. You might want to invest in a camera that is vandal proof or you may want to hang it up high so that the camera cannot be vandalized or stolen. Having footage of everyone who enters and exits your home or business is never a bad idea when you are focused on security. At home, you will also want to make sure that any storage areas that contain expensive items are under surveillance at all times. This means your garage or carport should include at least one security camera so that you can keep an eye on your vehicles, tools and expensive equipment. Storage sheds and other places where you might keep these valuables should also be on camera. In the business world, you should never forget about the dangers of a parking lot, so it is imperative to have your parking lot under heavy surveillance. Many different crimes can occur in a parking lot, and whether someone is vandalizing or breaking into cars or assaulting your customers, you want to have physical evidence of what took place. Although you might be tempted to only place a camera or two in order to cut costs, make sure that you have enough cameras that there are no hidden spots. Another thing to consider are dark spots on your property. Burglars and thieves love places where they can hide without being seen, and dark areas of your property provide this opportunity. Not only is it a good idea to illuminate these areas with motion lights, but you should also consider placing surveillance cameras in any spots that you think a burglar might choose to hide, whether it is in the bushes near the side of your property or in the back yard. When purchasing CCTV cameras for outdoor use, you must keep in mind the wear and tear that your cameras will be going through since they are out in the elements. Therefore, you cannot use the same cameras that you would use indoors, or your might find that your brand new camera is no longer in working condition. 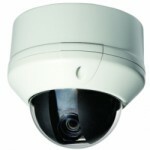 Try looking for security cameras that are designed for outdoor use. These cameras are typically waterproof, or they are at least water resistant. This helps them to withstand the rain and storms that might come your way. 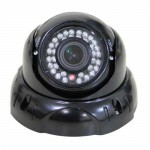 You also want to look for outdoor security cameras with infrared technology. Regular cameras have a difficult time picking up picture in the dark, and you might not be able to see anything but black on your surveillance footage. Regular cameras that are placed near streetlights or lights that you have installed might pick up decent footage, but this is still not the best way to go. 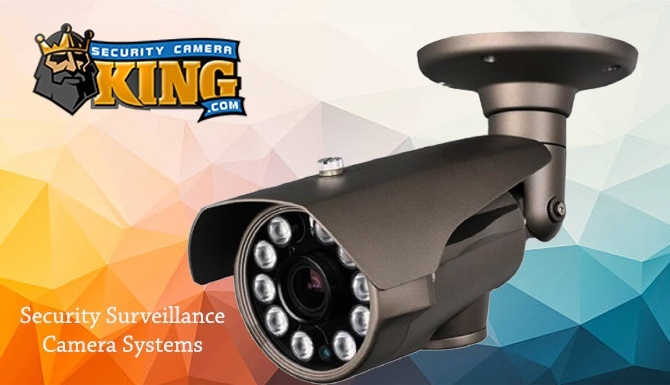 CCTV outdoor security cameras that come equipped with infrared technology give you the best of both worlds because they automatically adjust to the lighting conditions around them. This means that you will get beautifully clear surveillance footage during the day, but your camera will also be able to work properly at nighttime and on cloudy days, meaning that you never have to worry about missing anything important when it comes to your surveillance footage. When you purchase outdoor security cameras, you will also need to decide how you will store and watch your surveillance footage. The best option for many people is to purchase a digital video recorder that is designed for security purposes. The type of digital video recorder that you purchase will have to do with the number of security cameras that you have installed. Make sure that you purchase a digital video recorder that has plenty of storage space, or at least look for a unit that allows you to add storage space when necessary. You may also want to find a DVR system that allows you to burn DVDs of your video in case you need it for evidence in the future. Some people choose to watch their surveillance footage on their PC. This is an option for those who are on a budget, but it will take up a lot of space on your computer, and you may not be able to watch your surveillance footage on a constant basis since you will need to use your computer for other things. Lastly, put a bit of thought into the monitor that you choose for watching your security footage. Many people are tempted to purchase or use inexpensive and old monitors, but it is usually worth it to purchase a new monitor, especially since they are available so inexpensively these days. A monitor with a high-quality picture will allow you to notice and see things that you might not be able to catch on an insufficient monitor. Along with your outdoor security cameras, there are other ways to boost the security of your property, whether you are concerned about your home or business. One of the best ways to increase security is to install plenty of lighting. Using a combination of street lights, flood lights and lights that are triggered by motion sensors, you can keep your lawn well-lit even during the middle of the night. Since one thing that most thieves are afraid of is being exposed, these lights can make the difference between a thief passing your home right on by and a thief deciding that your property is a good target. Posting signs that your property is under video surveillance is also a good idea. If the thieves in question don’t notice your security cameras, they will notice the signs, and they will more than likely be afraid of taking the chance at your home or business. Posting other signs, such as signs that state that you have a burglar alarm, can also help to minimize the risk of a break-in. By combining several security methods, you can provide your property with top-notch security without even having to spend a lot of money. Each step that you take further protects your home or business, so it is certainly worth the time and minimal investment in order to make your property a safe place.